I was always aware of Jim Jones, but I never got around to listening to him. There's no reason why, he just kind of slipped under my radar. Outside of Remy Ma, Nas, Mos Def, and of course Biggie, the whole New York City hip-hop movement really managed to fly by me. 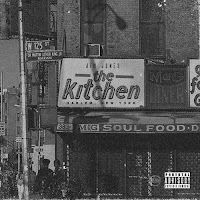 This past Friday, the Dip Set Capo released The Kitchen; a 14 track album featuring the song highlighted below Eastside. I was pleasantly surprised. Jim Jones brings on Mass Appeal maverick Dave East for another thorough Harlem World collaboration. Jones previously got my notice, now he has my attention. Check out the track below.